This is actually something that I had been thinking about for the longest time. 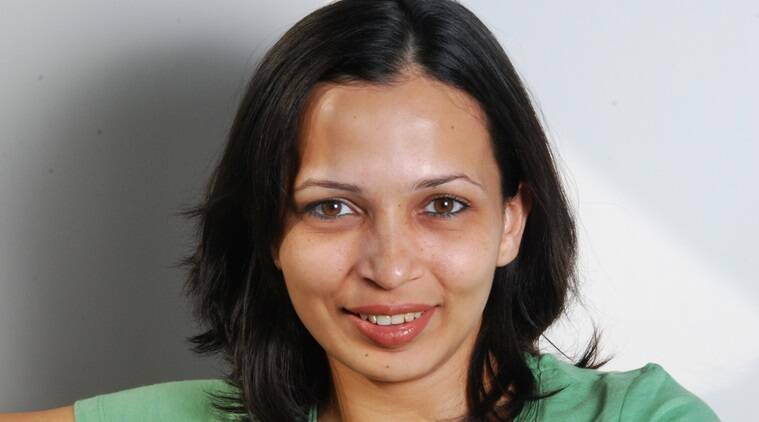 Wherever I would go for a talk, people would constantly ask me when I was writing for kids. So, to me, writing this book almost feels like the completion of an unfinished project. And now, with diet fads and us staring at climate change and wars over food and water, god knows what the future has in store for us! I felt that it’s just the right time to write a book for children. One more reason for this is also because India currently has the second highest number of obese children and also the highest number of malnourished children. These were a few motivating factors for writing this book. 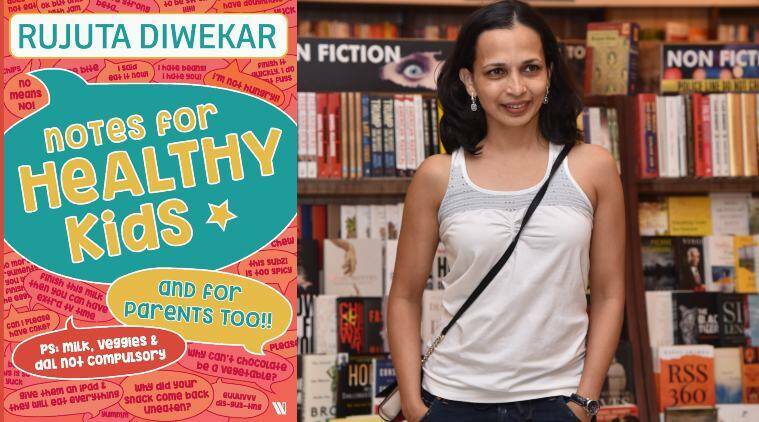 Rujuta Diwekar’s new book is titled Notes for Healthy Kids, published by Westland, an Amazon company (Rs 350, 256pp). In your book, you’ve emphasised on passing the “grandmother test” before choosing what to eat. Can you explain what that means? This basically means that you need to be eating food which is local to the region that you live in, which is in season and prepared in your kitchen using traditional recipes. It is something our stomach and palette already knows and identifies with. So, we would be able to digest this food quite well. Almost everything that our grandmoms don’t recognise as food is that which has travelled a very long distance to land on our plate or it may just be something that is ultra-processed and being positioned as good for our health. The grandmom-test essentially allows you to tell the real stuff from marketed food. Can you bust some myths about what is healthy and what isn’t? Ghee: Ghee is extremely nutritious. Ghee has a very unique kind of fatty acid structure, which allows your body to assimilate all the nutrients from anything that you are eating. I would say, ghee is a health tonic. Milk: Try and buy milk from a local dairy; Indian cow milk is better than from the Jersey cow. If your child, by any chance, doesn’t like milk, you don’t need to force feed it by mixing a powder or switching to almond or soya milk. A lot of parents think that milk is the only source of calcium and protein but that’s not the case. You can very well derive these nutrients from a wholesome diet. So, even if you give your child a ragi dosa or moringa, it will serve the purpose. Traditional sweets: All our traditional sweets are a complete package of macro and micro nutrients. They are rich in fibre, protein, vitamins and minerals. Most of them are prepared using millets or pulses, like a nachni laddoo, besan laddoo or nariyal barfi. They invariably have nuts, which add to their nutrient profile, along with ghee, sugar or jaggery. So, they really are balls of energy. We should ensure that we are routinely making them at home. Also Read: When can babies start having walnuts, almonds and other nuts? There seems to be a lot of paranoia among parents about children’s diet and health. What could be the possible reasons? I think a part of it is because we are constantly talking about diet and one can’t escape it. Now, there is a lot of focus on just nutrients. And once you start having a very reductionist view of food, then it is natural for fear and apprehension to grow. Most advertisements are also geared towards this form of fear. And that becomes a narrative. The apprehension comes more out of the narrative than the fact. The body is used to a very wholesome and holistic approach. It’s about the big picture. It’s about eating your food properly, enjoying what you are eating, going to bed on time, having healthy relationships, and so on. Good health is much more than just acing a nutrient. Identifying junk food and then having it once in a while is totally okay. For instance, if you are on a highway and there’s nothing else but a burger place, you can have it. But going to junk food places to celebrate birthdays or opting for them as a return gift for a birthday party or buying chips or chocolates out of habit is something we need to stop. I look at ultra-processed food for children as something that is as big a threat as smoking, which is injurious to health. All junk foods should come with this warning, including tetra-pack juices or fibre-filled biscuits. Can you suggest some tips on how parents can teach their child to appreciate food? One of the first things that I would like to tell parents is to not take their child to a mall every weekend. At least once a month, take them to a farm. That is what will help them appreciate food better because that’s how they will understand where it comes from. And once you understand the source of something, then you are more likely to take interest in food. Children love being out on the farm, planting and harvesting. You can help them plant a tree in the neighbourhood so they understand what it takes to grow something. Speak to them in your local native tongue. We are under the threat of losing so many of our indigenous languages. Without knowing your local language, you cannot possibly understand or appreciate your cuisine. And when you don’t do that, you stay disconnected from health, harmony and happiness that your cuisine brings you. Involve your child in the cooking process. Have him or her come to the kitchen, get them to set the table, have them pick the food, and so on. How would you define a “healthy child”? My definition of a healthy child is one who is energetic, enthusiastic, has an open green space to run in, doesn’t need a gadget to eat, who can just hit the pillow and sleep and wake up fresh. A healthy child is an integral part of the sustainable development for the future.